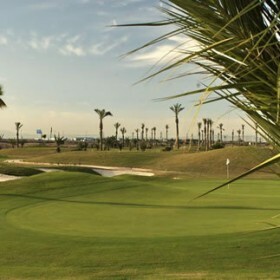 La Serena Golf is located right next to the Mar Menor. It encircles the 500 year old “Torre del Rame” which was originally built to keep watch for pirates who took refuge in the tranquil waters of the Mar Menor. 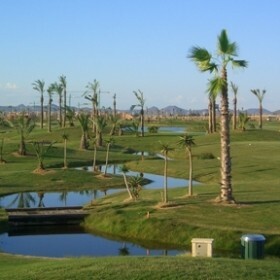 Mainly flat, the golf course’s main difficulties are the prevailing Levante wind and the many water hazards that come into play in 16 of the 18 holes. The course, which is not overly long, has a traditional structure. Accuracy off the tee is a must, as bunkers, desert areas and the aforementioned water hazards are all dangerous. The bunkers are big and superbly designed, but the most notable feature of this course, apart from being able to play right next to the beach, is the spaciousness of the greens, having an average area of 600 m2, and in some instances exceeding 1.000 m2.The golf course is walkable. Good challenge for low handicappers, and there are good lay-up options for the rest of us. Clubhouse with dressing rooms, pro shop, caddy master and storage facilities. 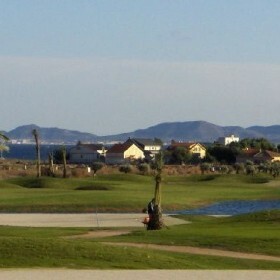 Restaurant, bar-cafeteria with terrace overlooking the Mar Menor sea and the golf course.